Using the largest circle from the Nesting Circles and Rectangles. I repeat stamped in versafine, moving the card around to cross the image in the centre each time. 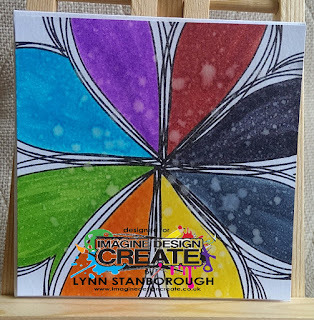 Using Distress Oxide I used the Solid Circles and using a different colour, I stamped into each segment and repeated the process, overlapping part of the previous segment each time. 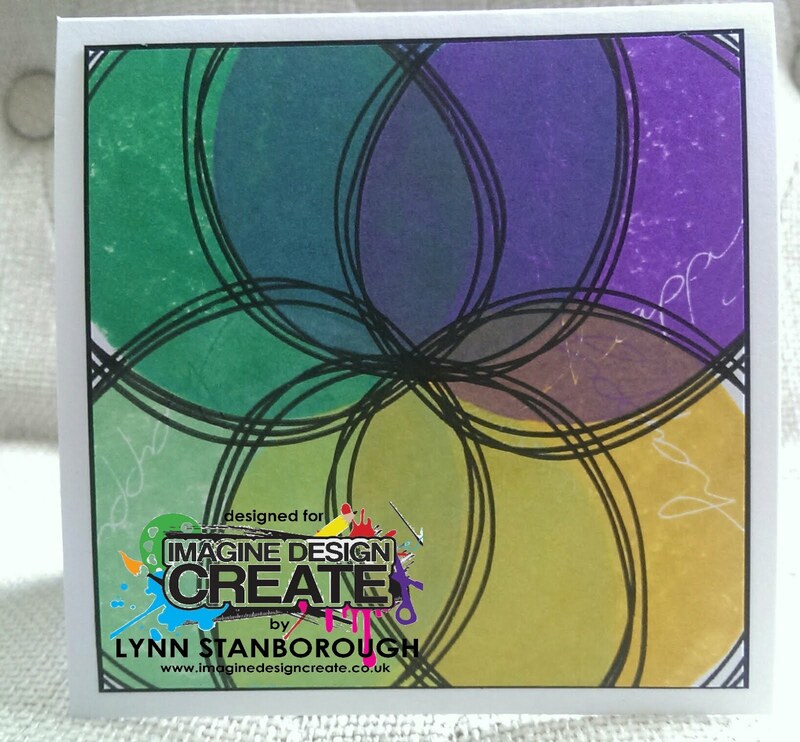 All the interlocking, solid and nesting stamps all work together and this gives you so many options. I really like the way that the last two segments spell out the word 'happy'. 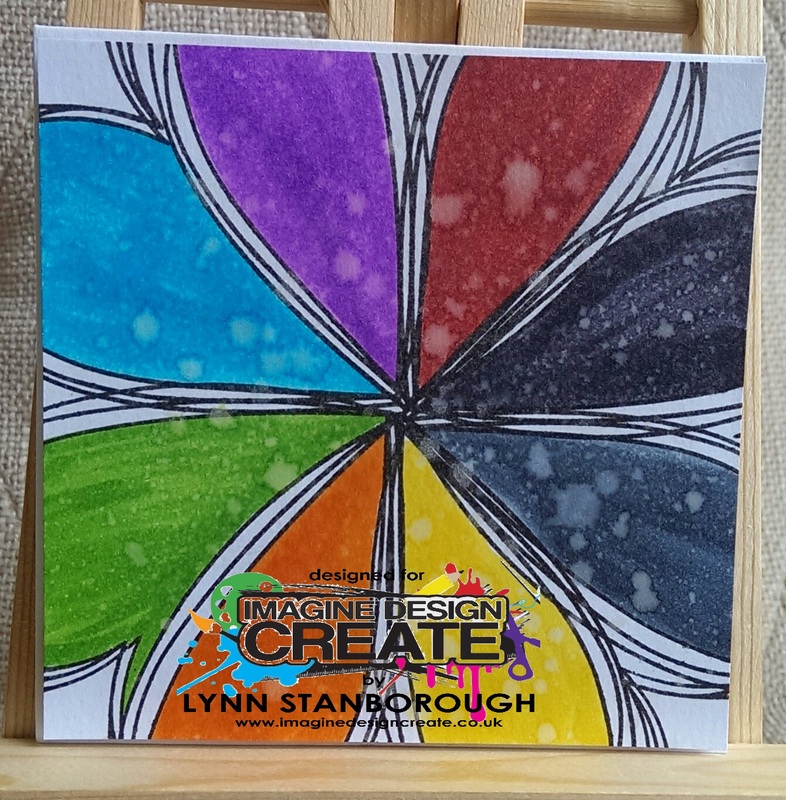 .For this card I have used Nesting Circles and Rectangles stamp set. 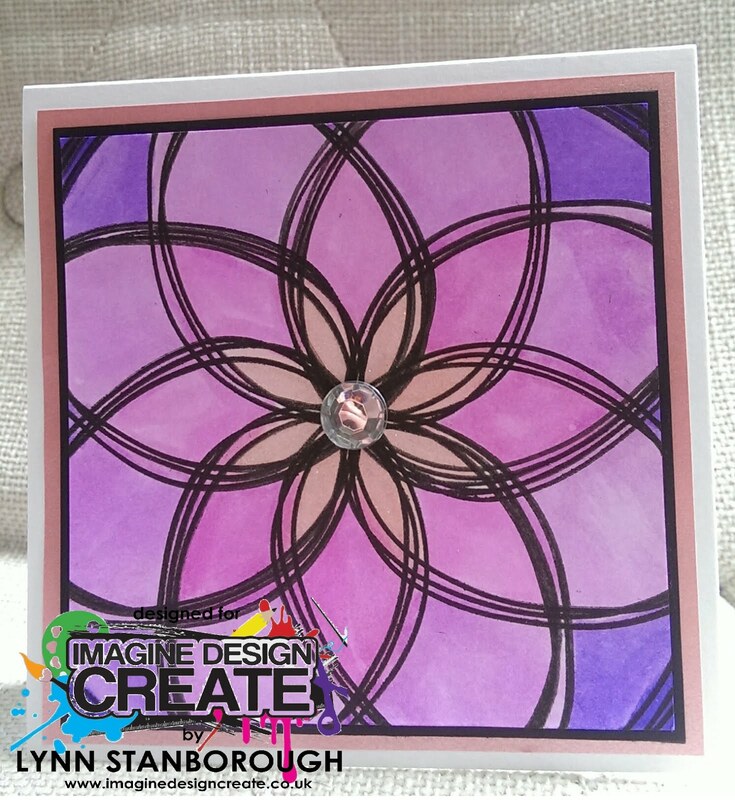 I used the largest of the nesting circle and moving the card around and repeat stamping I have created a large flower shape. I coloured each of the segments in with a watercolour brush and mat and layered onto black cardstock and then pearl pink paper. I added a gem in the middle to make the stamen. 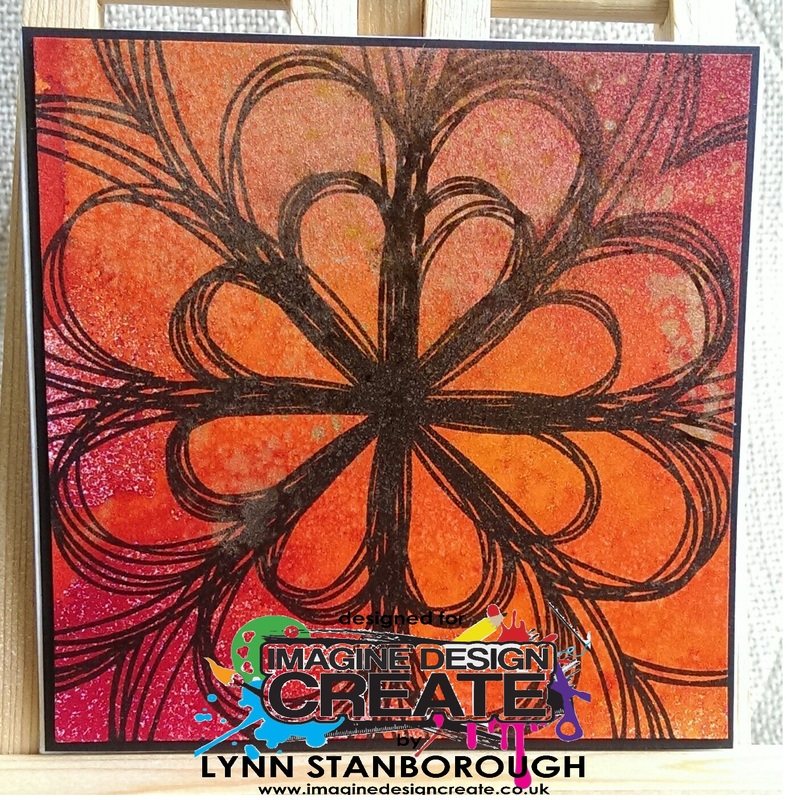 Today I used a background I made with Distress Inks. I got into such a mess and a great time! 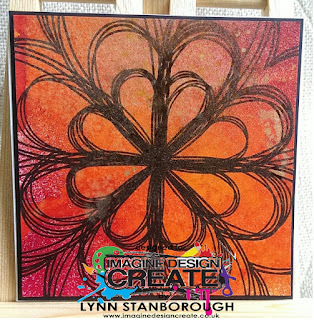 Using the Nesting Hearts and Flowers set, I have created a flower using all three of the nesting hearts and I think it gives a great effect. I hope you do too. I started with the largest heart, each time stamp with versafine and rotate the card to the next position and repeat the process. I did this whole process three times going down in size with the nesting hearts each time. I'm at it again with the kaleidoscope! This time I used the Nesting Hearts and Flowers stamp set. I used the largest heart and repeat stamped the image, rotating the card each time to ensure the image met in the middle. I coloured in with watercolour pens and flicked pearl water over the top to give a shimmer all over and added a few ink splots! I mounted the card directly onto a blank tent card. I tell ya, the nesting and solids really are a match made in heaven, give them a go.